The United States would never have become the place we know and love today without Boston. The Revolutionary War, when the 13 colonies fought for their independence from Britain, began in Boston with the Boston Tea Party, so you can begin your journey by walking along Boston Harbor. This lively area has restaurants overlooking the water, street performers, outdoor markets, and lots of shopping. If you’re looking to get the most out of your water view, consider taking a sunset cruise for excellent views of the city and excellent selfies (think wind blowing through your hair and a gorgeous sunset over the water). After the Boston Tea Party, Britain's redcoats landed in Boston to squash the rebellion (spoiler alert, they lost), they’re arrival was marked by Paul Revere’s famous announcement “The British are coming!” Since you can’t see Boston without seeing landmarks of this amazing achievement, your next stop is Paul Revere’s House. This small museum has a great collection of period pieces and lets you walk through a day in the life of a wealthy 18th century Bostonian merchant. The ticket is $5 or less, and the museum is small so you won’t need more than an hour to walk through. Paul Revere’s house puts you conveniently in the North End, a well-known Italian district full of delicious restaurants and bakeries. I suggest trying Bova’s Bakery, which is family-owned and feels much more personal than other bakeries in the area. Depending on how hungry you are, now would be a good time to wander the neighbourhoods looking for a good Italian restaurant, we suggest Benevetos on 111 Salem St, or follow the Freedom Trail to Faneuil Hall, another colonial-era destination that today is a bustling food court, where there is something for everyone. Faneuil Hall also has a market, where you can buy every kind of souvenir from the kitschiest keychain to upscale hand-made home décor. Now that you’ve seen a good portion of colonial-era history, it’s time to appreciate the next few centuries of Boston’s rich history. The Isabella Stewart Gardner Museum is covered wall-to-wall with antiquities and masterpieces from all over the world covering thousands of years of history. Its namesake was a wealthy heiress who meticulously curated her collection and left it to the city of Boston on the condition that they keep it exactly as she has designed. For this reason, the museum can be a little overwhelming and confusing, but if you have the patience to read a room map in each room, you’ll be rewarded by masterpieces from every era. If a traditional museum is more your speed, you can’t beat the Boston Museum of Fine Arts. This massive museum is one of the most important collections on the East Coast, and you can get lost here for a full day appreciating art from the ancients to the 20th century. If you have time and you appreciate art or history, see both! Boston wasn’t just glorious in the past, it continues to be a centre of economic and cultural importance in the United States and around the world. For foreign tourists, the best thing you can do to experience authentic Americana is to attend a Red Sox baseball game at Fenway Park. This time-honoured tradition is of the UTMOST important to Bostonians, so don’t disrespect them by wearing a Yankees logo. Before the game, it is customary to drink (aka “tailgate”), so go to Yawkey Way just outside the stadium about an hour before the game for a beer and a hot dog (and maybe a foam finger). Once you’re inside, you can enjoy thousands of screaming fans, more beer and hot dogs, and another custom called “The Wave” in which everyone in the stadium puts their arms in the air and stands up after the person sitting next to them, so it looks like a wave is going around the stands. If you can’t make it to the game, go to basically any Irish pub in the city to watch with the local fans over a pint of Sam Adams; as long as you’re rooting for the Red Sox, you’ll fit right in! Boston is a magnificent city with centuries of rich history, and this guide only scratches the surface of all the wonderful things to see, do, and eat in the city. 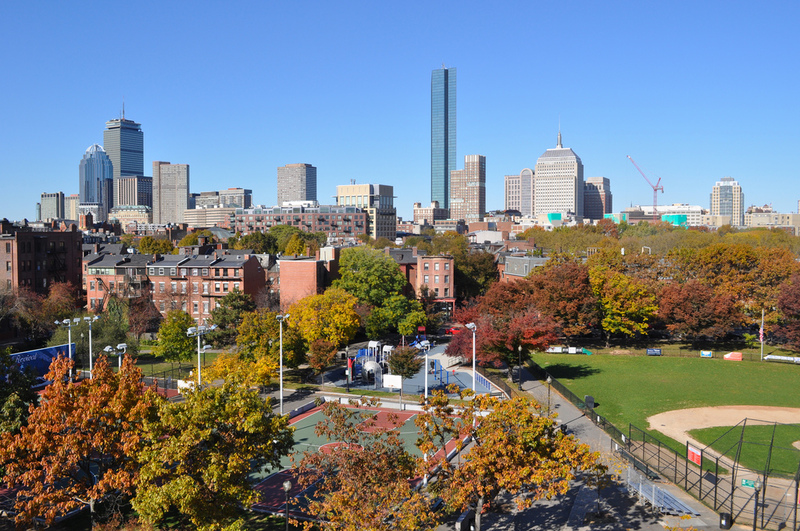 Whether you’re a history buff, a sports fan, or a foodie, there’s plenty to enjoy in Boston!